Sam needs to get a lot of form filling done automatically…It could be for various purposes- SEO link building, web scraping etc. Now Sam is all set with his other tools but guess what??? To fill the forms automatically, he needs to get around captchas!!! As you know, captcha stands for Completely Automated Public Turing Test to tell Computers and Humans Apart. He has to pass a test to prove that he is human! Captcha consists of a box wherein you are required to type the given information to prove that you are human. To get around these captchas which are of different types like Text-based Captcha, ReCAPTCHA, Mathematical Captcha, Image-based Captcha, 3D Captchas is quite a task! Google’s reCAPTCHAs are particularly challenging. But trust me, Sam cannot do the form filling automatically without successfully getting around these captchas! To understand the different captcha types, see this interesting video and find out more. But guess what? It’s everyone’s story, including YOURS! So what you need is a captcha solver, right? It should be easy with several captcha solving services available in the market. So far so good? Then what’s the catch? The key issue is that there are SEVERAL captcha decoding services in the market and the question is which one to select??? You cannot drop everything and survey the market to find out which one is better than the rest. The technology used in captchas and reCAPTCHAs keeps getting smarter. That is why you need surefire captcha and reCAPTCHA solving service that cracks all of these with ease and precision! To enable you to make an informed choice, we have put together a comprehensive comparative analysis of Top 10 captcha solving services in the market!!! So if you want to get past these captchas and carry out automated form filling fast and easy, you need a robust and effective captcha solving service. Let’s understand how it works! How does a captcha solving service work? The service has hired human workers as captcha solvers who are constantly online. When you send your captcha, the company forwards it to the human workers who work out the text and send it back. In this method, the captcha solving is done automatically using OCR technology. So how can you use the captcha solving service? The following is a detailed analysis of various captcha and reCAPTCHA solving services regarding their unique features and advantages. You may know the pricing or the way a captcha solving service typically works but it may not be sufficient. Remember, it is not merely about the method used in captcha solving or the steps as described above. Starting from payment methods to API support, it is necessary to study the finer details before selecting a captcha solving service. At times, it is the customer service that turns out to be the difference between two captcha bypass services. At other times, what you are looking for is a quality reCAPTCHA solving service! In order to ensure that you do not have to spend time and energy in surveying the market for captcha solving services, we have put together the comparative analysis of the top 10 market leaders in captcha solving service. Deathbycaptcha delivers captcha solving services with 90%+ accuracy and takes 11 seconds as response time! As it uses a hybrid method consisting of the most advanced OCR system and a team of human captcha solvers available 24×7, Deathbycaptcha caters to all kinds of clients in the market. So even if you need a captcha solving service for your web scraping needs, Deathbycaptcha will most definitely suit your requirements. 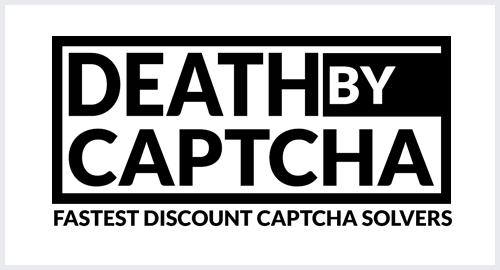 As a reliable and accurate captcha decoder, Deathbycaptcha is the market leader and our top pick. With DeCaptcher and Antigate (Anticaptcha) API, it becomes easy to migrate to Deathbycaptcha in a seamless and hassle-free manner. Russian & Chinese captcha support and case sensitive support make Deathbycaptcha attractive for a diverse set of clients. See it’s FAQ page to get more detailed answers. Deathbycaptcha can also solve most advanced Google reCAPTCHA. It extends first-rate customer support and you get replies to your queries quickly! It supports all major Credit/Debit Cards and PayPal, WebMoney and BitCoin based Payments. Click here to see all payment plans and options. It follows a system wherein 47.23% is added to the price of all captchas solved during 9am to 8pm server time. Response Time: For solving captcha, the average speed is 11 seconds. For solving ReCaptcha, the average speed is not mentioned. 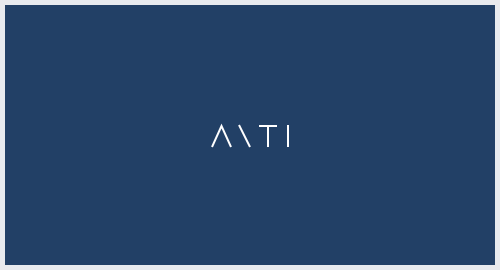 API for Solving Captcha: Yes, API is available in the following languages: C, PHP, Python, .NET C# & VB, Java, Perl, AutoIt3, iMacros API documentation is available after you purchase its service. Which Method – Human Based or OCR? It uses hybrid method. It consists of the most advanced OCR system and a team of human workers serving as captcha solvers. With average response time less than 12 seconds and API available for most of the programming languages, 2captcha has emerged as one of the top 3 captcha solvers in the market. 2captcha uses human based method to solve captchas with a team of human workers online and ready to solve captchas. In a few quick steps, you can register, implement API, send the captcha and the human workers help you bypass captcha in no time! In addition, 2captcha provides the facility to recognize any graphical captcha like ReCaptcha V2, Asirra, FunCaptcha and others. It is also a reliable and effective reCAPTCHA solving service. With such diversity, it can also solve captchas as per your needs. As it offers captcha support for all major kinds of captchas at affordable rates, 2captcha has sealed its spot as one of the most popular captcha solving service. Big Captcha $1 Big captcha is an image that has sum of height and width more than 400px. The method is the same as for Normal Captcha. 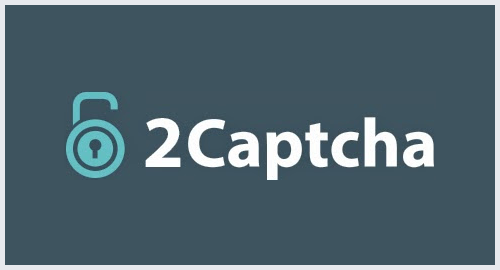 ReCaptcha V2 $2.99 The rate applies to Google’s ReCaptcha V2 solved via token. Solving ClickCaptcha $1.2 Involves the requirement to click images. FunCaptcha $0.5 Involves the requirement to rotate images. Success rate of solving captcha: It is not mentioned. Response Time: For solving captcha, the average speed is less than 12 seconds. For solving ReCAPTCHA, the average speed is 68 seconds. Which Method- Human Based or OCR? It uses human based method. When you send a captcha request, 2captcha sends it to the human workers who solve it and send it back. Customer Support: Customer support is provided via ticket. Facebook support is also available. Provision for Direct User Questions: This feature is available only through Facebook community. All the questions & answers available are related to workers only. Limitations: No major limitation is recorded. 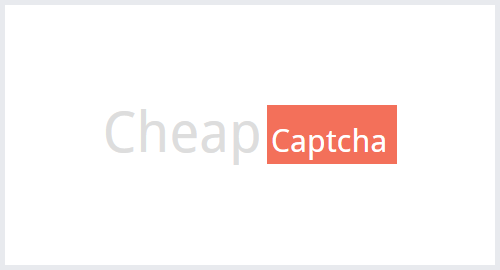 Additional Features: Solves captcha image above 400px size, Solves all captchas including invisible Captcha, Can provide 100% recognition service on demand but it is expensive, Provides a pingback (callback) option that allows you to get the answer for your captcha automatically when it’s ready. 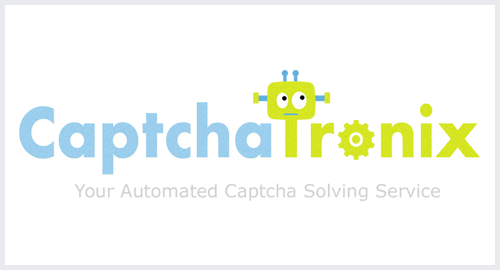 Powered by 99% success rate and 7 seconds response time, Anticaptcha provides fast and reliable captcha solving service. It offers captcha solving service at the cheapest price on the market and claims to have 99.99% uptime since 2007. With a massive base of human workers, it delivers captcha bypass on 24/7/365 basis! It also stands out as one of the best reCAPTCHA solving service. 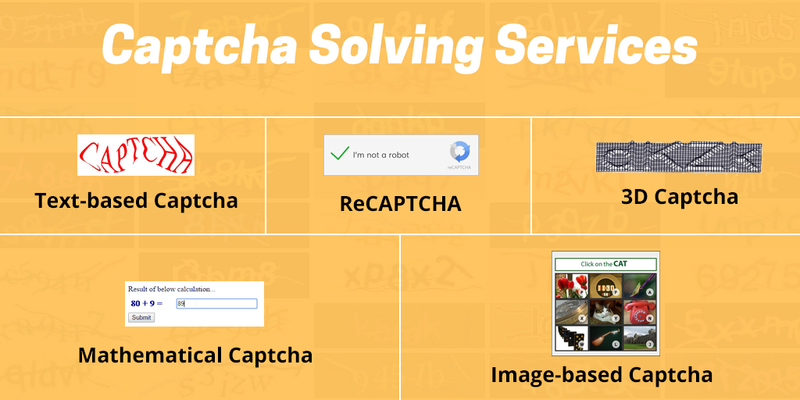 For its easy API integration, unlimited number of simultaneous uploads and high-speed request processing, Anticaptcha grabs its place as the 3rd most reliable captcha decoding service. Response Time: For solving captcha, it is 7 seconds. For solving reCAPTCHA, it is not mentioned. Free Trial: Anticaptcha does not offer Free Trial. API for Solving Captcha: It works only via HTTP POST methods, data format is JSON. Which Method- Human Based or OCR? It uses human based method. Customer Support: Customer support is available but only for paid users. Articles and help desk are some of the features available for users. Propelled by more than 90% success rate in human based method and 75% success rate in OCR, it is one of the preferred captcha solving sites. As the oldest captcha solving service, Decaptcher has consistently evolved and grown. Decaptcher delivers captcha bypass through human based and OCR method. It is a leading reCAPTCHA decoding service as well. So it suits a variety of clients and budgets. Decaptcher bypasses not just image captchas but also Maths captchas. It has an exceptional record of decoding hard captchas. It offers APIs in most of the popular languages. It also stands out for its amazing customer service support through email, twitter, helpdesk and spring. For its diverse and distinct features, it has made its way into top 5 captcha decoding services. It costs $2 for 1000 images. Decaptcher accepts payments starting from $10. In case, the user uses any third-party product i.e., ready-to-use tool or software, different rates would apply. If you load $100+ to your account online, you get a bonus of 10%. If you load $50+ to your account online, you get a bonus of 7.5%. If you load $30+ to your account online, you get a bonus of 5%. It supports all major payment methods. Free Trial: Decaptcher does not offer Free Trial. API for Solving Captcha: Yes. It is available in the following languages: C, PHP, Java, C#, Perl, Visual Basic 6, VB.NET, Delphi, DLL Sources, DLL .NET-friendly sources, SO sources, PHP cURL-based, DeCaptcher xRumer plugin. Also HTTP POST APIs for the iMacros scripts and many specific types on demand. Also, case-sensitive CAPTCHA recognition and mathematical CAPTCHAs! Which Method- Human Based or OCR? It uses human based method and custom OCR for captcha decoding. Customer Support: Customer support is available through email, twitter, helpdesk and spring. Limitations: It does not solve reCAPTCHA V2 token. If you are looking for a service to solve all major types of captchas with a success rate in the range of 95 to 100%, Expertdecoders is the right pick! It takes average 10 seconds response time for any kind of captcha bypass. 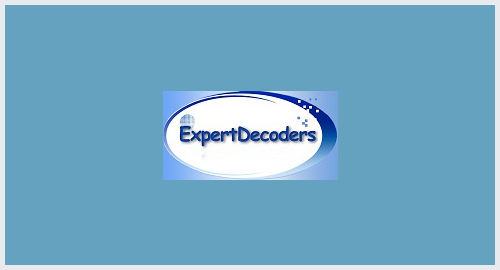 Expertdecoders is one of the few services in the market that offers a Free Trial. It offers integration with user’s software for free. It is reasonably priced. It also provides great customer support. It is equally reliable as a reCAPTCHA solving service too! With great accuracy and amazing speed, Expertdecoders is an outstanding captcha solving service that is worth exploring for your captcha solving needs! $1.20 USD only for solving 1k, (1000 Captchas). Unified API for regular and premium service. Support 3rd party API such as Decaptcher, Bypasscaptcha, de-captcher. $1.60 USD only for solving 1k, (1000 Captchas). Downgrade anytime at no fees, automatic credit convert. 99.99% system uptime, failover on power full Backup Server. Response Time: For solving captcha, it is average 10 seconds. For reCAPTCHA, it is not mentioned. Free Trial: Expertdecoders offers Free Trial. Which are the captcha types solved? Expertdecoders provides captcha solving service for all types of captchas. However, it does not specify the types in detail. Customer Support: Customer support is provided via ticket. FAQs are also available. With 80% automated captcha solving and 0.73 seconds response time, Captcha Tronix is a leading captcha decoding service in the market. It uses OCR based method to provide accurate and fast captcha bypass. It delivers at an impressive 80% to 100% success rate in solving captchas and 60% to 70% success rate in solving reCAPTCHAS. So it is regarded as a robust reCAPTCHA solving service as well! Captcha Tronix claims to solve 2585 types of captchas. To enable the customer to solve unlimited captchas, it does not follow pay-per-captcha method. It offers free lifetime 24×7 customer service and support. With constant improvements and updates with new captchas, Captcha Tronix has grown as one of the fastest and most reliable captcha solving service. Success rate of solving captcha: 80% – 100% average success rate for solving for most captchas. 60% – 70% success rate for bypassing reCAPTCHA. Response Time: For solving captcha, it is average 0.73 seconds. For solving reCAPTCHA, it is not mentioned. Which Method- Human Based or OCR? It uses OCR. Which are the captcha types solved? Captcha Tronix provides the following types of captcha solving: Types are not mentioned clearly. It claims to solve 2585 types of captchas. It decodes reCAPTCHAs also. Customer Support: Customer support is provided via ticket. But Captcha Tronix generates the ticket by a third party tool and replies to it. Armed with astonishing response time of less than 10 seconds and 95% success rate, Image Typerz has emerged as a renowned service provider offering decaptcha, decaptcher bypass captcha services. With a team of skilled workers operating on a 24×7 basis, Image Typers offers amazing human based captcha decoding service. Image Typerz solves normal captcha, Fun Captcha and Confident Captcha with amazing accuracy. It is also an incredibly reliable reCAPTCHA solving service too! Image Typerz contains simple API in various languages makes it easy to customize for your application. 24 hour technical support to resolve technical glitches makes it an attractive service. Besides, you can avail Live Chat for troubleshooting of any of your queries. To top it all, you can get some discount in case of bulk orders as well! With these amazing features, you can count on it as a captcha solving service for your web scraping requirements as well! 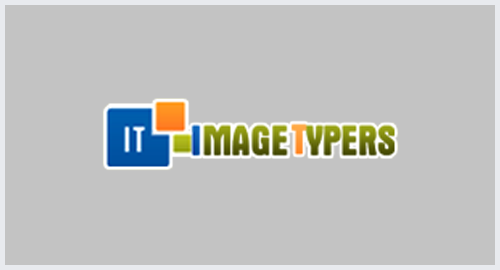 With these key features, Image Typerz has carved a niche in the market. Response Time: For solving captcha, the average speed is less than 10 seconds. For solving ReCAPTCHA, the average speed is 45 seconds. Customer Support: Customer support is provided through Skype and Live Chat. Quick Migration: The provision for quick migration from any other service to Image Typerz is available: Integration with Deathbycaptcha, anticaptcha etc. 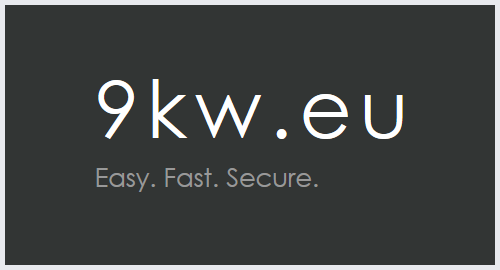 9kw.eu is a great captcha solving service with API support in some of the major languages. It offers seamless service of captcha bypass for major captcha types. As a reCAPTCHA solving service, it is considered amazingly effective and reliable. It claims to solve any captcha in 15 seconds. With interfaces and plug-ins for easy usage, 9kw.eu is one of the popular captcha decoding service. Video tutorials are additionally provided to help the users. They are available on YouTube as well as on the company website. Moreover, it has an Android, iOS and desktop app as well. It uses human based method to solve captchas with amazing accuracy. As it solves major types of captchas, it caters to a variety of clients in the market. With its decent track record and customization, 9kw.edu is a fairly reliable captcha solving service. +5-10 credits per solved standard captcha. -10 per submitted standard captcha. When using the API (interface) to solve a captcha (without a standard), there is a bonus (+1) and another bonus (+1 for under 12 seconds and +2 for under 20 seconds for audio and interactive, other types +1 for under 7 seconds) for the refuser. ** It’s 5 points higher without the option proxy, page URL and user agent. If individual captcha types are excluded one point less will be credited for each solved captcha. It can be disabled at any time. One point for not enough captcha types selected like under 3. Sandbox (self solve) mode is without any bonus. Response Time: For solving captcha, the average speed is 15 seconds. For solving ReCAPTCHA, it is not mentioned. Customer Support: Customer support is provided. Useful details are also provided under the Help section. Limitations: Only 10 new captchas are accepted per second to protect the system. It means it processes a total of 864000 captchas per day. 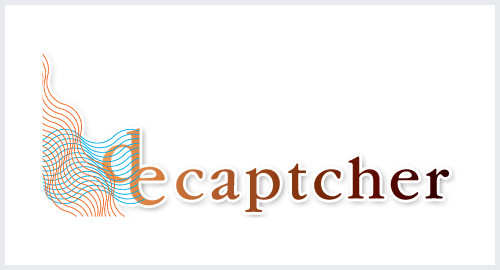 As the name suggests, Cheap Captcha aims at delivering the cheapest captcha decoding service. With 90% success rate and less than 12 seconds response time, it is one of the reliable and accurate captcha solving services. It offers API support for a number of programming languages. Cheap Captcha has a team of technical experts and specialized decoders. They have created a system that is amazingly fast and incredibly accurate. It offers decent technical support as well. It is also linked with most of the SEO link building tools. For its affordability and high accuracy, Cheap Captcha is regarded as one of the robust captcha solving services. Success rate of solving captcha: 90% or above. Response Time: For solving captcha, the average speed is 12 seconds. For solving ReCAPTCHA, it is not mentioned. Which Method- Human Based or OCR? It is not clarified. Which are the captcha types solved? Cheap Captcha provides captcha bypass for most captcha types. Specific details are not mentioned. Customer Support: Customer support is available Monday to Friday 9am to 5pm EST. Limitations: It does not support Captchas with other languages outside English and/or numbers. It does not support animated Captchas. Additional Features: It is integrated with most of SEO link building tools. If you want to use a captcha solving service that offers API support for major languages and response time of 8 to 13 seconds, Bypass Captcha is the right service for you! It uses human based method and delivers captcha bypass for a set of captcha types. 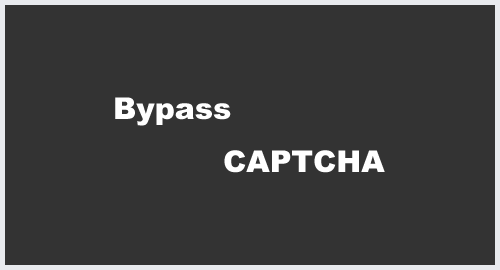 Bypass Captcha provides integration of their service with user’s software for free. With uninterrupted service and professional technical support, it delivers captcha solving with astonishing accuracy and speed. It follows a credit system for calculating payment. It supports all major payment methods. So keep Bypass Captcha in mind, when you are looking for a great solution for your unique web scraping requirements! For its unique features, Bypass Captcha is a great captcha solving service at affordable rates! It follows a credit system. In it, one credit means one correctly decoded captcha. Response Time: For solving captcha, the average speed is 8 to 13 seconds. For solving ReCaptcha, it is not mentioned. Free Trial: Bypass Captcha does not offer Free Trial. Customer Support: Customer support is available. For varied purposes, automated form filling requires bypassing captcha on a regular basis. Captchas are of different kind and of different quality. One captcha solving service may be good at solving normal captchas but may not be equally good at reCAPTCHAs. Sometimes, you want it for your web scraping needs and therefore you need to look for a specific type of captcha solving service. Since the stakes are high in web scraping because it affects the business outcomes and profitability, you would not want to take a chance with a substandard or unreliable captcha solving service, would you? You may, at times, need to bypass hard captchas. Sometimes, API support or provision for migration turns out to be the key issue. Considering some of these scenarios, you will need to opt for a captcha bypass service that provides robust customer support. Once you choose for the right kind of captcha solving service, automated form filling for SEO link building or web scraping can become a completely hassle-free experience! For web scraping, it is a hugely rewarding because if you get the right kind of captcha solving service, web scraping can transform into a far more effective and accurate exercise! So our amazing analysis that we have worked out can help you avail the right kind of captcha solving service as per your specific and customized needs! Do you have any experience as a user regarding any of the captcha solving services mentioned above? If yes, we would love to hear from you. Please share your valuable comments regarding any of these companies!